Recognizing the magnitude of the decision regarding who to hire as the community’s next CEO, the Town of Fort Myers Beach has taken almost a year to carefully deliberate and search for a candidate to assist them in assuring the community would find the right person for the job. Earlier this week they offered that position to Marco’s former City Manager Roger Hernstadt, a professional with over 35 years of experience in Florida municipal government. Hernstadt had been the City Manager on Marco Island for three years prior to tending his resignation. Fort Myers Beach had been without a Town Manager since June 2016 when they voted to terminate the former manager during a contentious debate regarding the handling of city finances and an ongoing sewer project. The history of Fort Myers Beach has an eerie resemblance to that of Marco Island, with the first manager in place for 10 years and then over the next five years to have six individuals holding that position. Two other managers would take the helm between 2010 and 2014, with Don Stillwell being terminated in June of 2016. 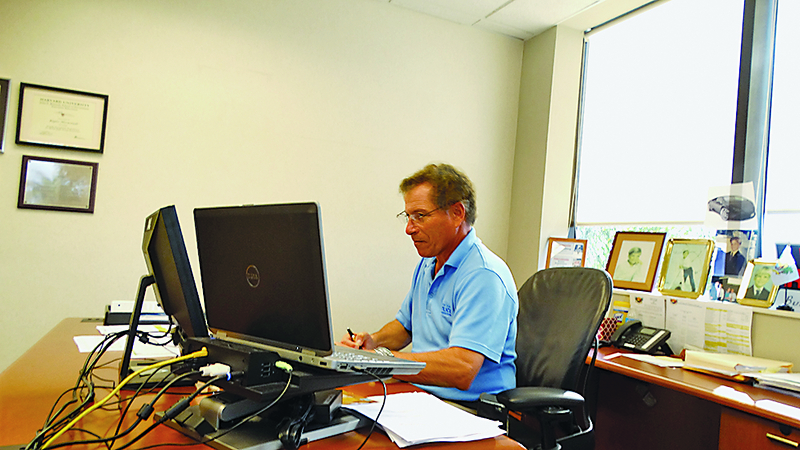 The City of Marco Island’s first manager was in place for 10 years until he chose to resign and take the position of City Manager in Naples, where Bill Moss has held that position since 2008. Hernstadt was the longest serving manager since Moss left, having served from January 2014 until February 2017. Hernstadt had the qualifications, Florida experience and professional contacts that the Town of Fort Myers Beach was seeking and he received a unanimous vote of their council on Monday evening. “I am extremely proud that their council would offer me the opportunity to work with them and their citizens to help move forward with the challenges they face today and in the future,” said Hernstadt on Wednesday. “My wife Jessica and our son are very excited to be moving into and becoming involved within the community,” continued Hernstadt. Fort Myers Beach had received 77 applications for the position and Hernstadt was one of four finalists for the position in the community of approximately 6,300 fulltime residents.